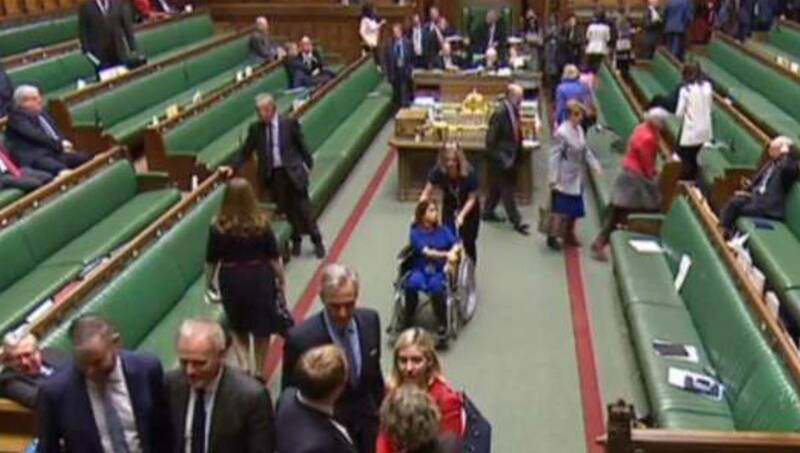 Heavily pregnant British Labour MP Tulip Siddiq, a niece of Bangladesh Prime Minister Sheikh Hasina, was pictured in a wheelchair after she postponed the date of a caesarean section to vote against Theresa May’s Brexit deal. The Labour MP for Hampstead & Kilburn was wheeled into the chamber ahead of the first vote on Tuesday night, on an amendment brought by Tory MP John Baron, reports The Evening Standard. Tulip Siddiq, 36, could be seen in the chamber chatting to other MPs including fellow Labour MP Stella Creasy and Conservative Commons’ Leader Andrea Leadsom. Tulip wrote on Twitter thanking people for support after her decision was first reported by the Evening Standard. She said, “My decision to delay my baby’s birth is not one I take lightly. “Let me be clear, I have no faith in the pairing system, in July the Govt stole the vote of a new mother.